For a while now, Rejex Sealant has been a very well kept secret in the detail world, but is slowly coming to light. There are numerous sealants and waxes on the market today, which makes it very hard to choose which is “the right one for me”. Durability, looks and ease of use all come into play when searching for the best sealant, but ultimately it comes down to simply making the choice between a few great candidates. Most products out there now perform very well and provide good looks with competitive durability, so choosing one has become even harder. 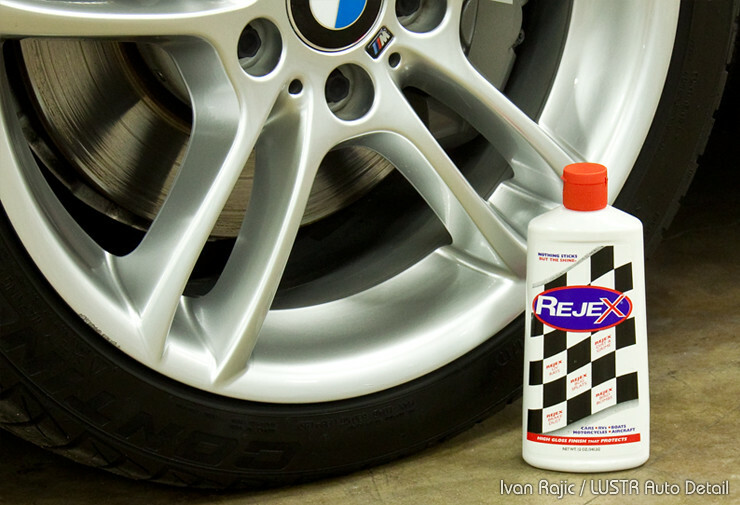 Rejex is a highly regarded sealant that provides an extremely thin yet durable coating to your vehicle. It applies with ease so you can get that amazing shine in little to no time. It enhances all paint colors so they look vibrant and it protects the paint for months to come. This polymer based anti-stick coating rejects contaminants, industrial fall out, road grime, brake dust, and much more so your paint stays cleaner longer. 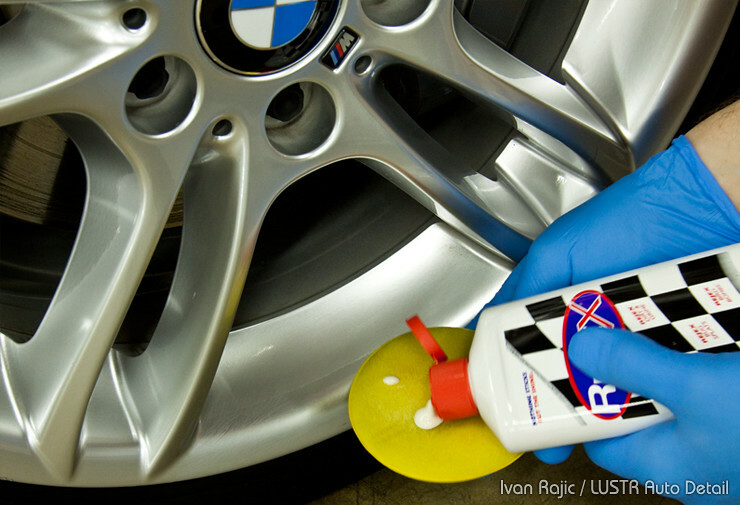 Don’t limit this sealant to just your car’s paint and clear coat, it can also be used on the wheels, glass, smooth and coated trim, RV’s, boats, and many other places. The protection should last at least 3 – 6 months with just one coating. Apply a second coating for added protection and gloss, but wait at least 8 hours in between coats. When you are done you’ll love the way the paint looks, so try the Rejex Paint Sealant. The Rejex Sealant is surely one of those “work horse” type products that comes in handy for many different situations. While the look of it is a bit lacking compared to one of my favorite sealants available right now, Blackfire Wet Diamond, Rejex Sealant definitely holds its own and is just as easy to apply and remove. Looks wise, it provides a nice glossy look as most good sealants do, but its main attributes are great durability for a great price. Rejex will last at least a few months and easily upwards of 4-5 months in good conditions, such as rarely seeing too much sun and rain and getting regular but mild washing. 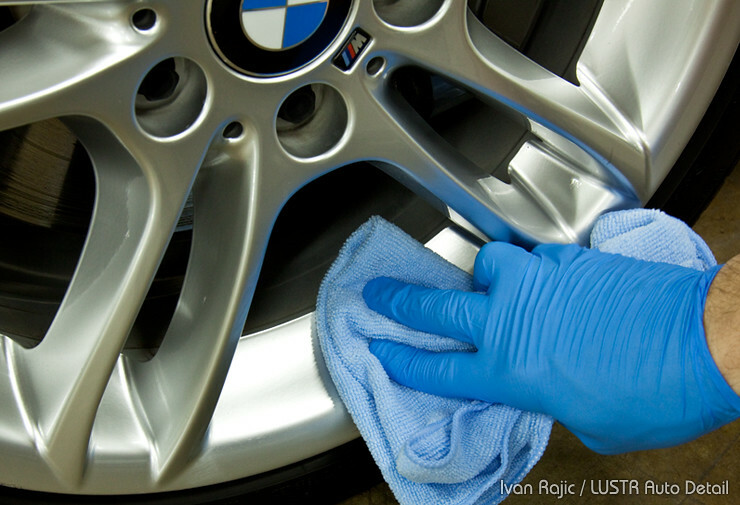 Since I prefer to use a few other products for paint, I mainly use Rejex Sealant for areas such as wheels, brake calipers and some chrome trim surfaces. Many times I have used it as paint protection on work vehicles where clients were looking for cheap protection and it has performed well every time. Overall, I see this sealant as a duct tape or WD40 of the detailing world :)… it’s very cheap for the performance it provides in terms of looks and durability, but it can also be used for many different applications around the car. Great product to have and highly recommended. 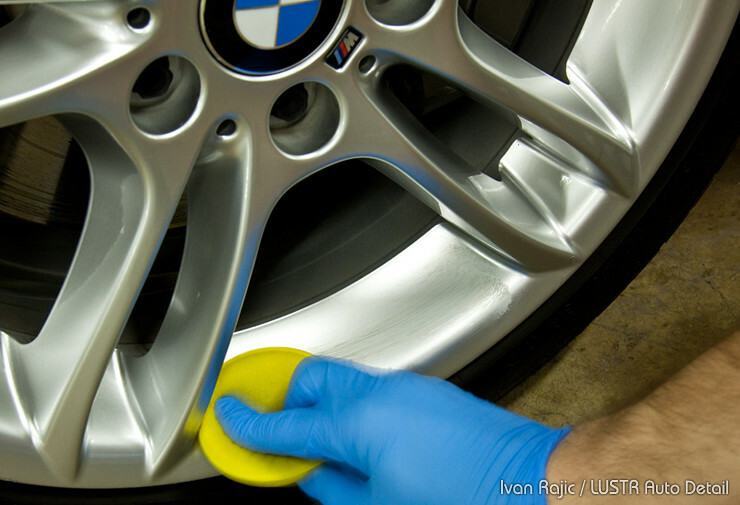 Since I typically use this sealant on wheels and such, I usually apply it by hand with a yellow foam applicator pad. However, I have applied it many times to paint with a Porter Cable 7424XP or Griot’s Garage Random Orbital at slow speeds and a Lake Country Blue finishing pad with no issues at all. For wheels, I start with a couple drops on the applicator and that usually gets me through half a wheel or so, depending on the size and shape. Once the pad gets saturated enough, usually after a wheel or so, typically you can get away with 2-3 drops per wheels for a light application. 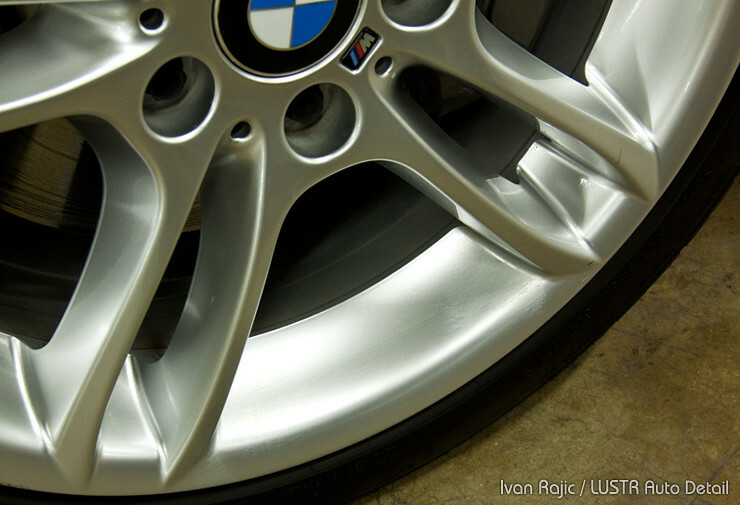 Obviously if wheels are pulled off for wheel detailing and then sealed more sealant will be required per wheel. As I said above, great product and a must have for me, so I highly recommend it for both enthusiasts and detailers. Thanks for the write up Ivan. 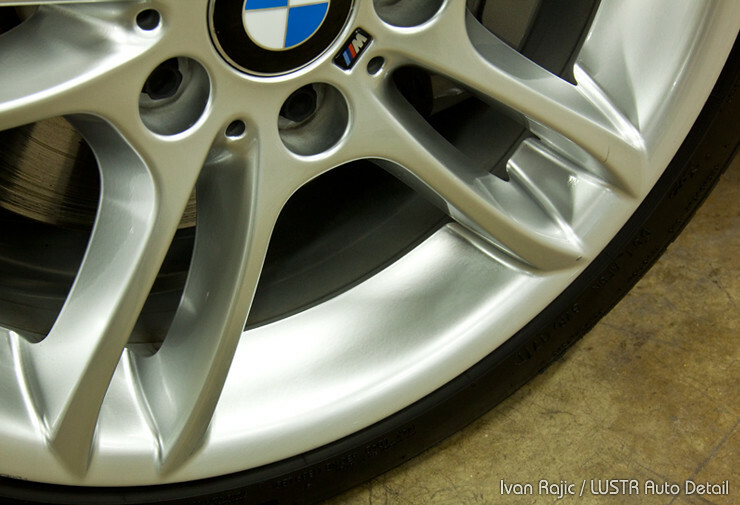 I’ve been using blackfire wet diamond all finish paint protection to seal my wheels. Do you recommend rejex over blackfire? Blackfire Wet Diamond is definitely a good option. I wouldn’t really recommend one over the other, rather I’d say Rejex is a great, cheaper alternative for Blackfire for wheels where you’re not going to get much, if any, difference looks-wise. Hope that clears it up. i have a customer with a 61 corvair monze and a 62 corvair truck. he insists i use the shiny slippery product. (rejex) never fails to blow him away. did his 54 gmc truck too. Can this product be put on paint that already has a wax application? I’m using this card with Samsung S4 and the transfer speed is very fast. Thank you for your genuine customer service. Something that is missing in today's business world...Your company is definitely my go to site!